For the convenience of our patients, Third Stone Health maintains an on-site natural pharmacy featuring the highest quality nutritional supplements, botanical medicines, and homeopathic medicines available. For additional convenience, our Natural Pharmacy is also now available online, so you can easily order anytime and get your medicines shipped directly to your home. If you desire, at your next appointment your custom prescriptions will be set up for ease of ordering. 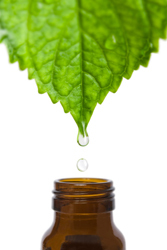 The effectiveness of natural medicines is directly related to the quality of the ingredients. Unfortunately, not all products are of equal quality, and currently there are no universal standards for quality assurance in the supplement industry. Every product in our pharmacy has been researched by Dr. Anne Procyk and determined to be the safest, highest quality, and most cost-effective in its class. We are committed to using products that have been manufactured according to the strict standards of the United States Pharmacopeia (USP) and the Food and Drug Administration (FDA) as well as those who practice environmental stewardship. While you are free to purchase your physician recommended supplements wherever you choose, we know that standing in front of shelves lined with supplements at the local healthfood store, supermarket or internet site can be confusing and overwhelming, and often leads to purchasing the wrong item. Our in depth knowledge of supplements and the supplement industry takes out the guesswork. You can be confident that you are using products that are pure, potent, non-allergenic and competitively priced for the best clinical result. Our pharmacy is open during regular business hours for new orders as well as refills. If possible, please contact the office by phone 860-661-4662 or email Pharmacy@ThirdStoneHealth.com, before coming to pick up a refill so we can have it ready for you. If you cannot come in, we will be happy to ship your items to you for a nominal shipping charge. Pharmacy items must be paid for at time of purchase. Most insurance companies do not pay for natural medicines, however, if you have a Flexible Spending Account or Health Savings Account (HSA), these expenses are a qualified medical expense and you can use your FSA or HSA dollars for physician prescribed pharmacy items.